Navarino Island (Isla Navarino) is a Chilean island located strategically between Isla Grande de Tierra del Fuego, to the north, and Cape Horn, to the south. The island forms part of the Commune of Cabo de Hornos, the southernmost commune in Chile and in the world, belonging to Antártica Chilena Province in the XII Region of Magallanes and Chilean Antarctica. 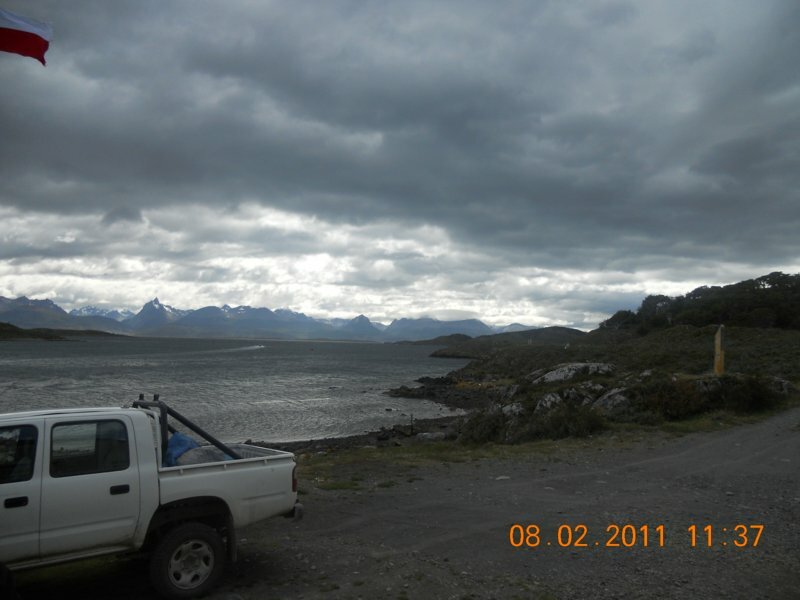 The island’s population is concentrated primarily in the communal capital, Puerto Williams, and in small settlements like Puerto Navarino and Puerto Toro. 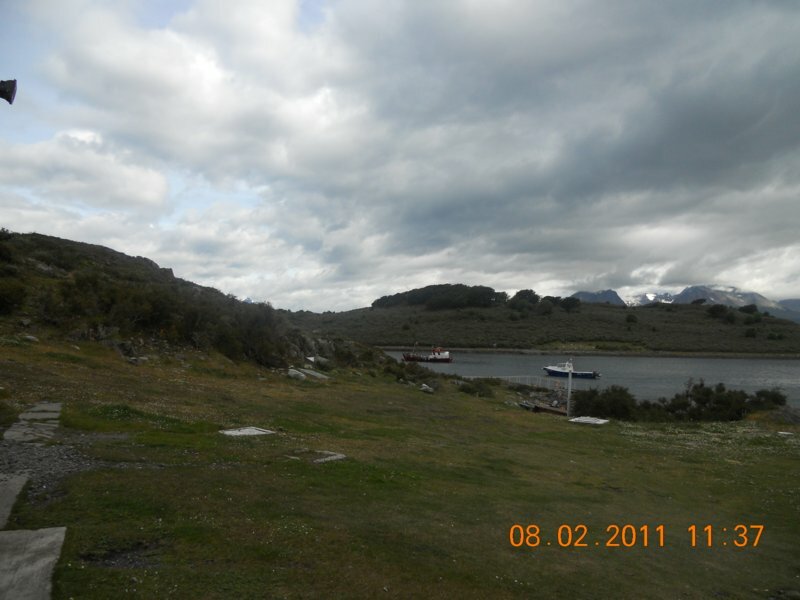 The highest point of the island is Pico Navarino at 1195 metres. 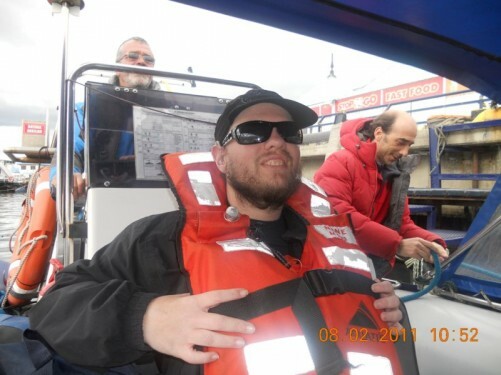 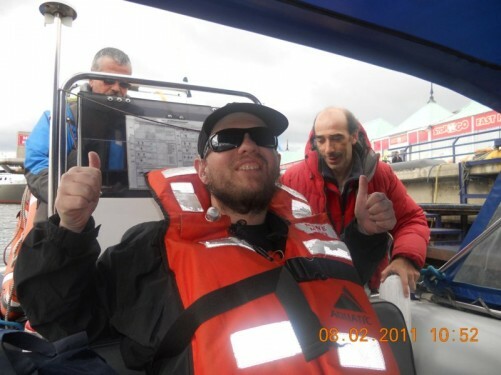 Tony sitting in a large converted Zodiac inflatable boat. He’s about to travel across the Beagle Channel to Navarino Island (Isla Navarino) in Chile. 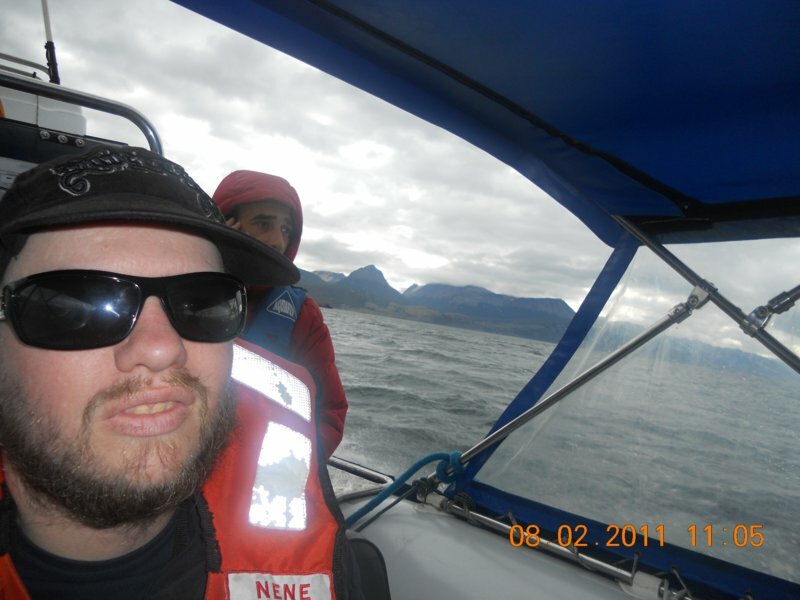 Tony heading across the Beagle Channel. The Zodiac out in the Beagle Channel. 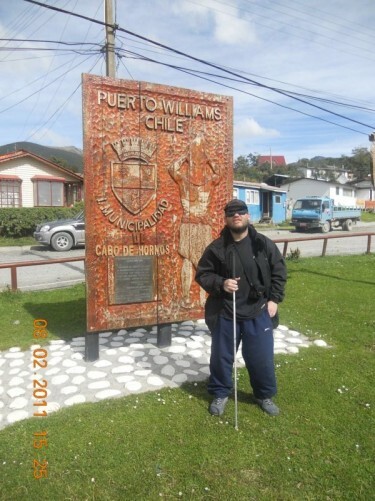 Puerto Williams is the most southern town of size in the world. There is a settlement further south but its inaccessible by road and only a few people live there! 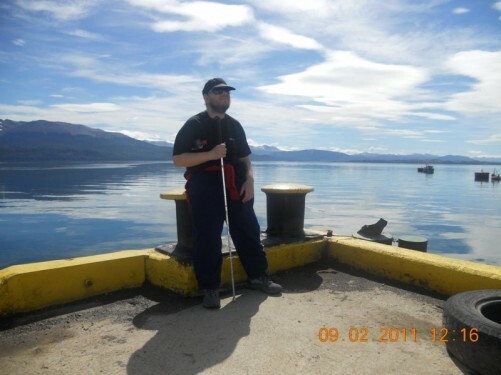 This island is the most southern of inhabited Chilean territory. 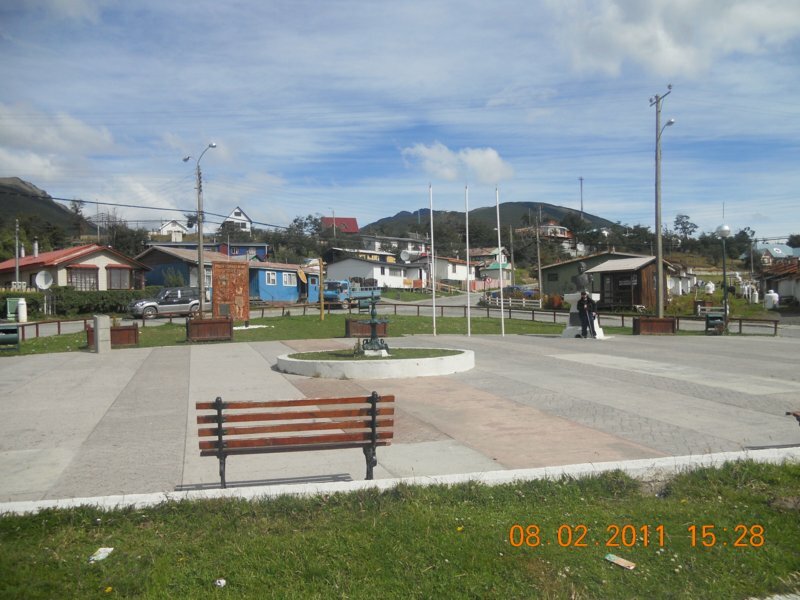 The town is located on Navarino Island’s northern coastal strip. Photos taken 8th to 10th February 2011. 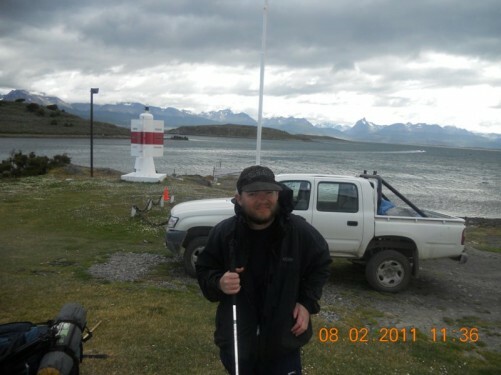 Tony safely arrived on Navarino Island, Chile. 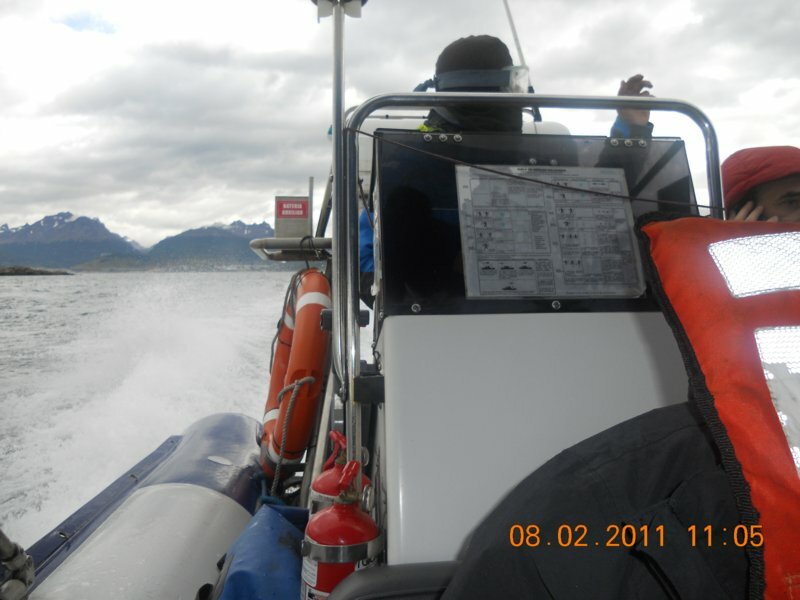 View of the Beagle Channel. Tony by a sign in Puerto Williams town centre. Square in the centre of Puerto Williams (Plaza O’Higgins). 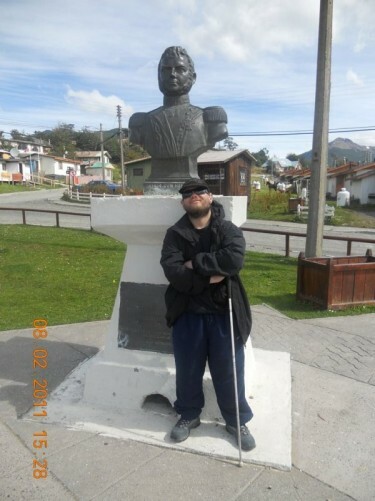 Bust of Bernardo O’Higgins, a leader in Chile’s fight for independence from Spanish rule. Tony in front of the bow from the Yelcho. 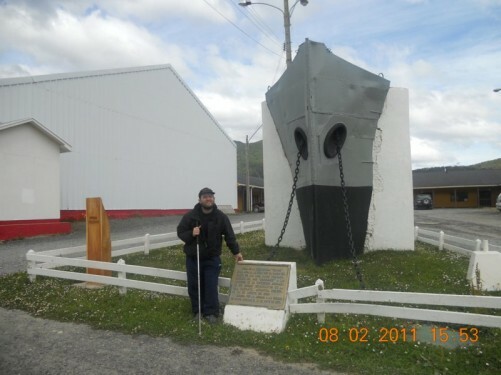 This was the ship that rescued 22 stranded crewmen of Sir Ernest Shackleton’s ship Endurance from Elephant Island, Antarctica, in August 1916. 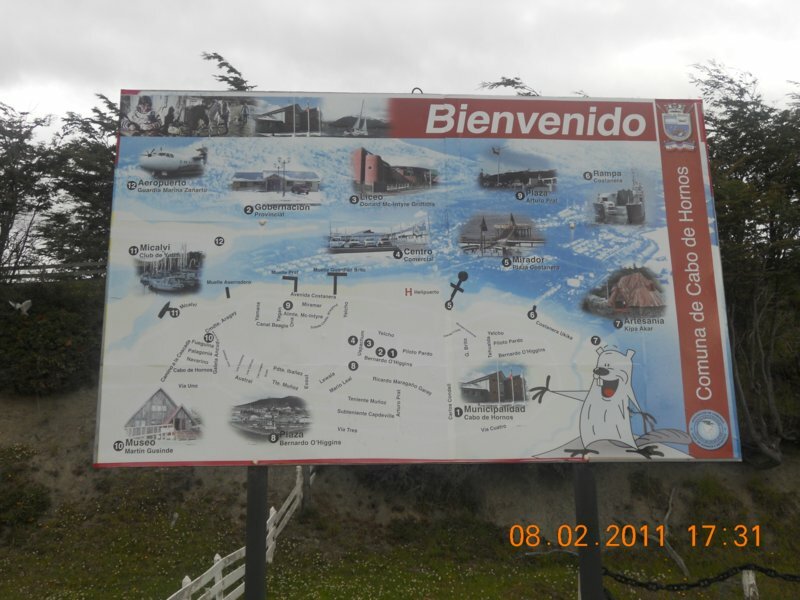 A map of Puerto Williams. Tony standing at the small harbour of Puerto Navarino in the western part of Navarino Island, with a nice view across the Beagle Channel.